Women's Black Boots size 8. Rubber outer material with thin lining inside. 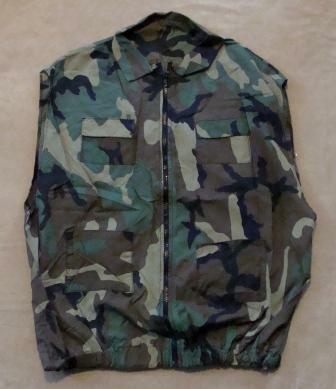 We have one camouflage vest and two jackets. All feature zippers, elastic waist, and decorative (limited use) pockets. All are size large. These were used and may require some simple seam repair . 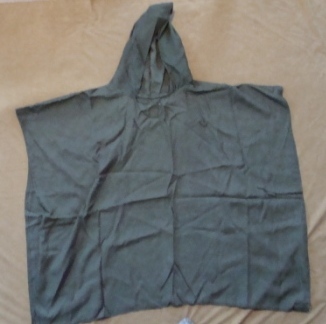 We have six of the ponchos available. 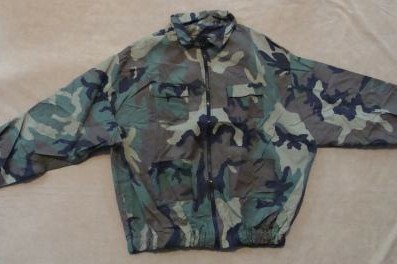 Five are in the green (pictured) and the other is in the same camouflage as the jackets. These are good "army builder" costumes for a film where you need multiple identical simple costumes. 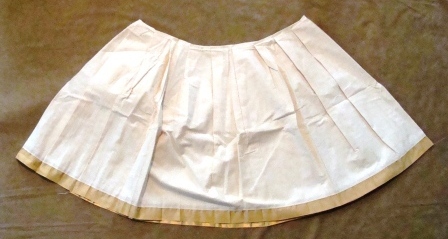 We have two pleated gladiator or Spartan style "skirts". Both are extra long so they'll fit a broad range of waist sizes. They've been in storage and need the pleats ironed. Otherwise they're in perfect condition. This spacey looking shirt was made for a fan film but never worn. It has somewhat puffy sleeves. There's a lining inside (except for sleeves) to add detail if worn unzipped. Size Large. This was something whipped up quickly for an event so its not screen accurate to any specific version of the character. Fits someone in the 5'10" range with average build. Boots are size 9 and have a wool lining. And they're GREEN!!! The Velleman MK107 DIY minikit circuit utilizes a 555 timer IC and a dual 4-bit shift register IC to create an 8 LED running light. In the primary mode, the LEDs light up in sequence from one side of the board to the other. You can push the program button to change the running light effect, and use the potentiometer to adjust the speed. The circuit is powered by a 9V battery and the battery holder is included with the minikit. Soldering required for assembly. These are made of CLEAR precision cut polycarbonate (the white is masking) and measure about 29" in length. 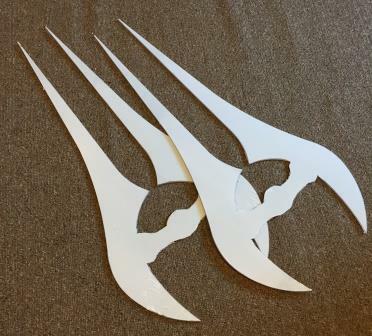 As we are no longer producing Halo swords, we are selling the last two raw blades.